So You Think You Can Mom? : Summer Fun with Paul Frank! Summer Fun with Paul Frank! It's no surprise that my kids love having fun in the Summer. Nothing makes them happier than splashing around in a pool...any pool...anywhere! There's a few essentials I always have handy for those pool days. We have to have fresh towels and snacks because we all know that swimming always works up quite an appetite. Paul Frank has a few new products that are sure to take our Summer Fun to a whole new level! Lay out by the pool then dry off with this super cool Paul Frank towel available now on Amazon.com! 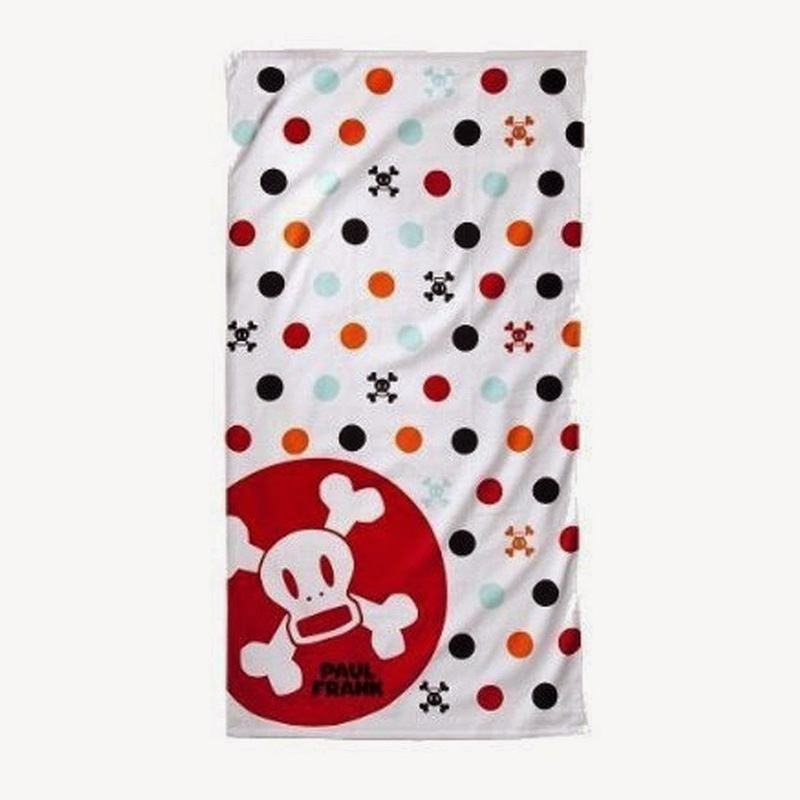 This soft and cozy towel features a Skurvy skull and crossbones design. 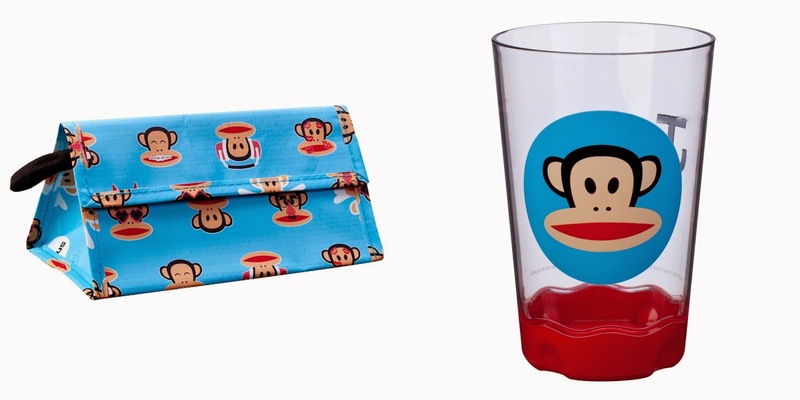 What's better than having your own Paul Frank reusable snack pack and tumbler for a quick poolside snack? You can find both of these fun items at Zak.com! 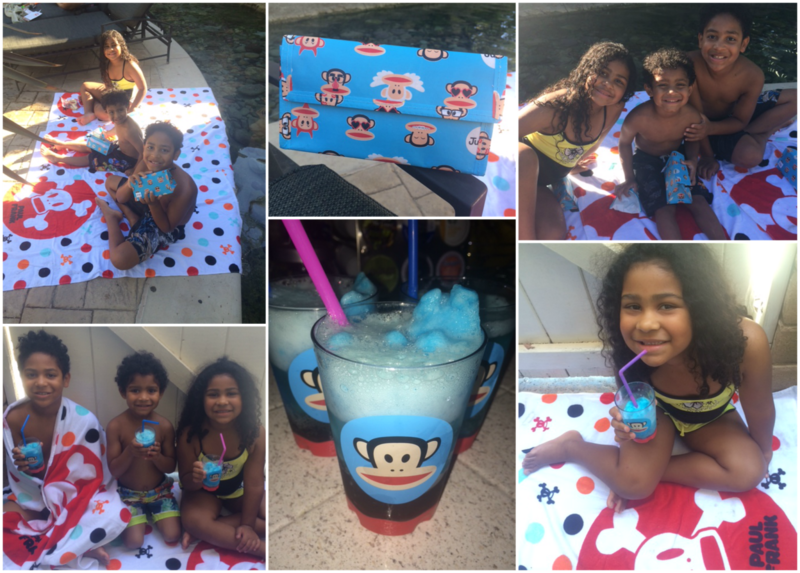 My kids couldn't wait to take their fancy Paul Frank Summer essentials over to our friend's house for a day at the pool. They loved pulling out their snack packs and enjoyed their apple slices and muffins by the pond. When we were done swimming, I took them inside and surprised them with Summer Slushies made with Ginger Ale and Blue Raspberry Italian Ice. They were a hit! For more info on all sorts of Paul Frank goodies just visit www.PaulFrank.com! Disclosure: I was not compensated for this post. As a Saban Brand-Bassador, I was offered sample products in order to facilitate my review. These are just my two cents!